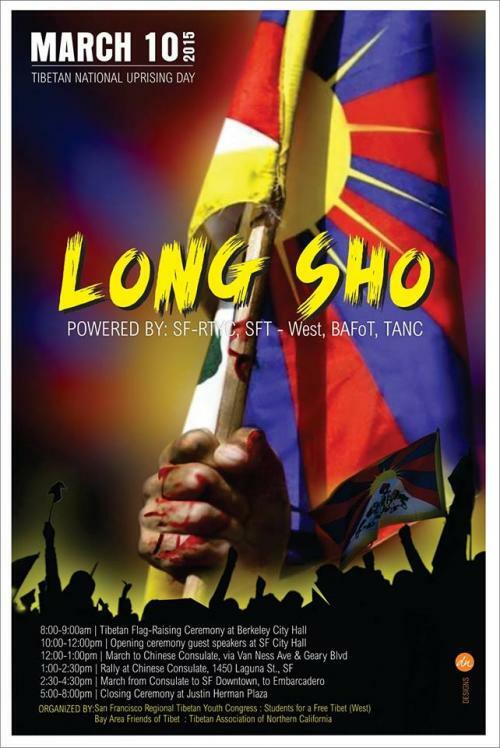 (San Francisco) Tibetans and Tibet supporters around the world  are this week taking to the streets and organizing events to mark the 56th anniversary of the 1959 uprising in Tibet - a time when hundreds of thousands of Tibetans protested China’s illegal invasion and occupation of their country. Since March 2008 there has been a surge of protests inside Tibet with demonstrators calling for freedom in Tibet. At least 136 Tibetans , from all walks of life, have set fire to their own bodies in protest against China’s rule, calling for freedom and for His Holiness the Dalai Lama to be able to return to his homeland. The vast majority have lost their lives. Since Xi Jinping became China’s President in March 2013, China’s grip on Tibet has tightened . The renewed clampdown includes newly-imposed “collective punishment”  policies that allow authorities to impose penalties against entire Tibetan communities infringing upon Tibetans’ right to freedom of religion and association, and raise the severe oppression in Tibet to a new increased level. 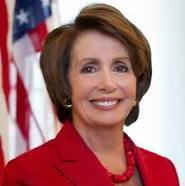 Congresswoman Jackie Speier’s office will be represented and San Francisco Supervisor John Avalos will also speak at San Francisco City Hall. China’s response to protests has been brutal and the crackdown in Tibet has intensified in recent months to include a sweeping campaign to criminalize relatives and friends of those self-immolating, and the use of disproportionate - including lethal - force against peaceful gatherings of Tibetans. In August 2014 paramilitary police open fire on a crowd of Tibetans who were peacefully protesting the detention of a respected village elder; at least six Tibetans died from the incident and many more were injured. Kaydor Aukatsang, Representative of His Holiness the Dalai Lama to the Americas, said, “As we commemorate and remember the brave sacrifices made by the Tibetan people in Tibet, I extend my gratitude to all our friends and supporters. I urge the Chinese government to end the suffering of the Tibetan people by resuming dialogue with the representatives of His Holiness the Dalai Lama and the Tibetan leadership. The solution to the Tibet issue lies with the Chinese leadership. The Tibetan people under the guidance of His Holiness the Dalai Lama have carried out and will continue to carry out our freedom struggle non-violently and peacefully until Tibetan freedom and dignity is restored. Read and download the updated report “Unite for Tibet; A New Global Approach” at http://issuu.com/internationaltibetnetwork/docs/g20unitefortibet (high resolution), Google Docs (low resolution) - https://docs.google.com/file/d/0BznuJeH49IWRX1BpM2IyT2R5Vzg. The report was co-authored and updated by the Secretariat of the International Tibet Network, http://www.tibetnetwork.org/, a global coalition of more than 180 Tibet Groups, with Member Groups Australia Tibet Council http://atc.org.au/, US Tibet Committee, http://www.ustibetcommittee.org/, Students for a Free Tibet, https://www.studentsforafreetibet.org/ and Tibetan Women’s Association, http://tibetanwomen.org/. First published in June 2013. 10 March 2015 is the 56th anniversary of one of the most momentous days in Tibetan history; on this day in 1959 thousands of Tibetans in Tibet took to the streets of Lhasa to protest against Chinese rule and protect their leader, His Holiness the Dalai Lama. As China shelled Lhasa, the Dalai Lama was forced to escape from Tibet. In 2008, 10 March was the beginning of the most widespread opposition to China’s occupation of Tibet as protests swept the Tibetan plateau.